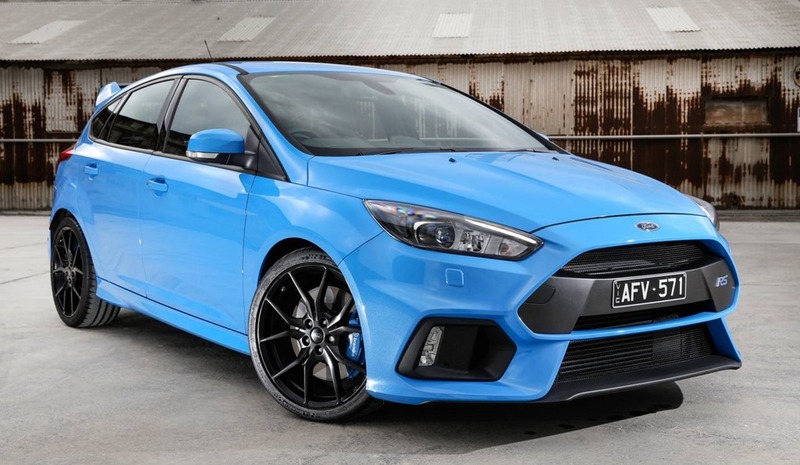 My previous favourite Ford, the Focus ST comes in at $43,325 (on road NSW) which is a full $12,520 cheaper than the RS, so is the RS worth the extra bucks? In a word, yes. It is glorious. The 2.3 Ecoboost the star pony in Ford’s stable. In various modes of tune, it powers many models, including Mustang. 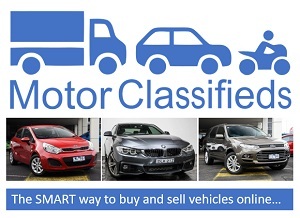 How do they get so much out of a 4 cylinder engine you may well ask? Good question. There is no end of wiz-bangery under the bonnet includinh: a clever AWD system, a flexible turbo 4 cylinder engine with the power of a V8, and a fistful of electronic goodies including Launch Control. Remember Holden’s 6.0L V8 managing a rather limp 260kw in the auto transmission model? We all asked how they could get so little out of 6 muscular litres. Most of the super hatches have AWD, but only Subaru’s WRX is cheaper, assuming you don’t want the STi of course. RS stacks up well against the other. Although the exterior is beginning to show its age, it manages to keep a muscular stance. The guards look somewhat understated and could use some light gym work. The red brakes can be seen through the 5 spoke wheels, and the rear hatch has a not-indiscrete spoiler along the top edge. 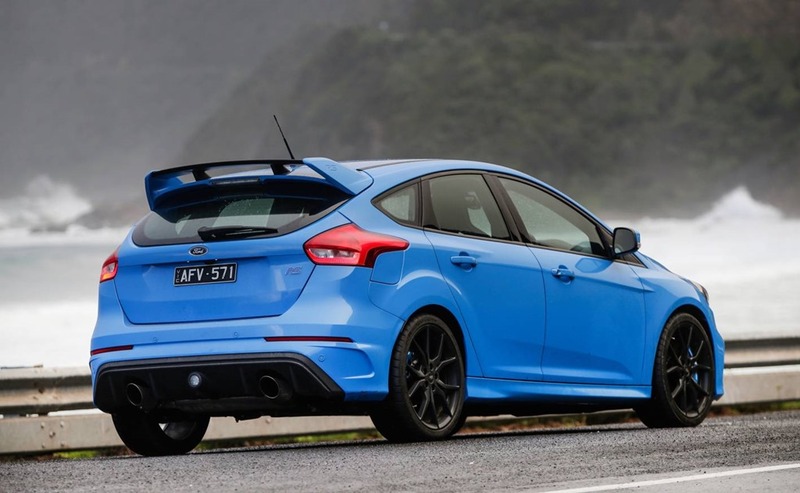 Other than that, the RS is not much louder than the ST, and that is probably just as well. My late dad used to call the drivers of such cars “mug lairs”, a term I intend to revive. In that vein, the RS is “lairy”. You like? 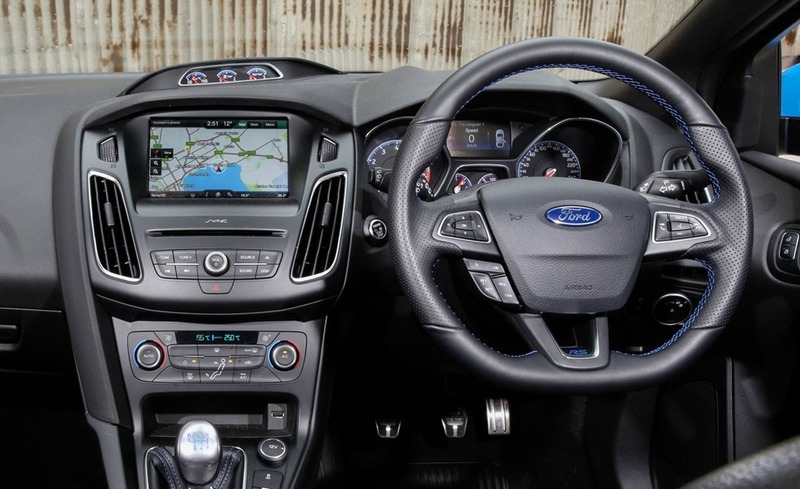 Inside the MKII Focus, the button-rampant centre console has been banished. SYNC 2 (the Focus Titanium gets Sync 3) entertainment system subsumes almost of of the functions over well over 40 buttons previously. There were once buttons as far as the eye could see. Now there are physical climate control and radio functions controls with the rest being virtual controls via the touch screen. Hallelujah! 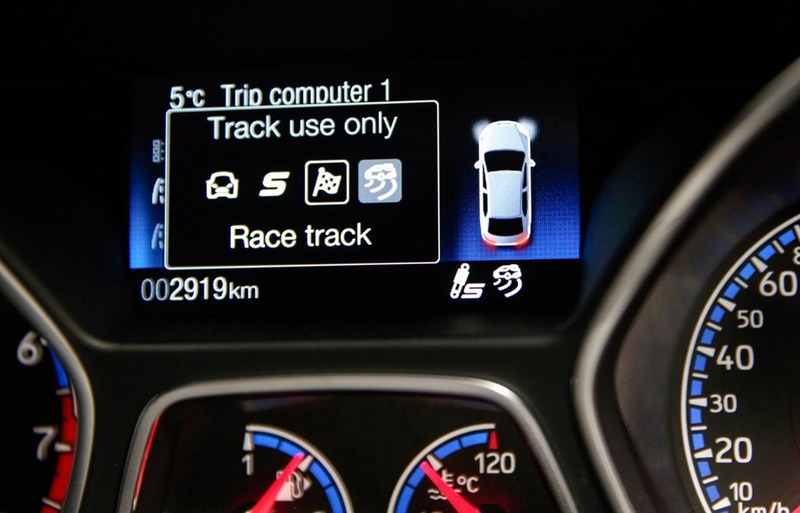 The climate control and audio buttons are duplicated on the virtual controls in the infotainment system. 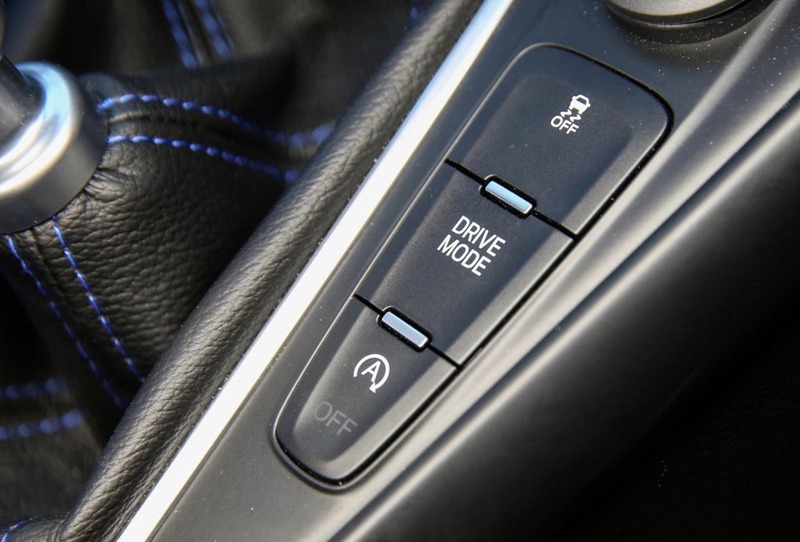 There are additional buttons to sync the dual zones, tune the radio, and vehicle settings and info readouts. 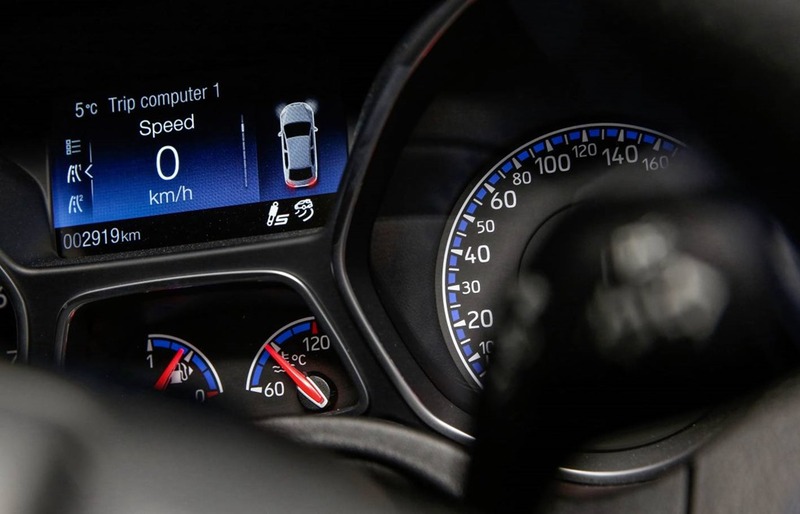 There are further controls on the steering wheel for driver info, audio, and phone functions. The hi-res 8” colour touch-screen is crystal clear and fast to respond, and is a huge improvement over the ridiculous 4” screen it replaced. There is so much to be said about a five-door car. There is the convenience of being able to lower the rear seats for extra storage space. Flexible seating gives you options that a sedan can’t match. 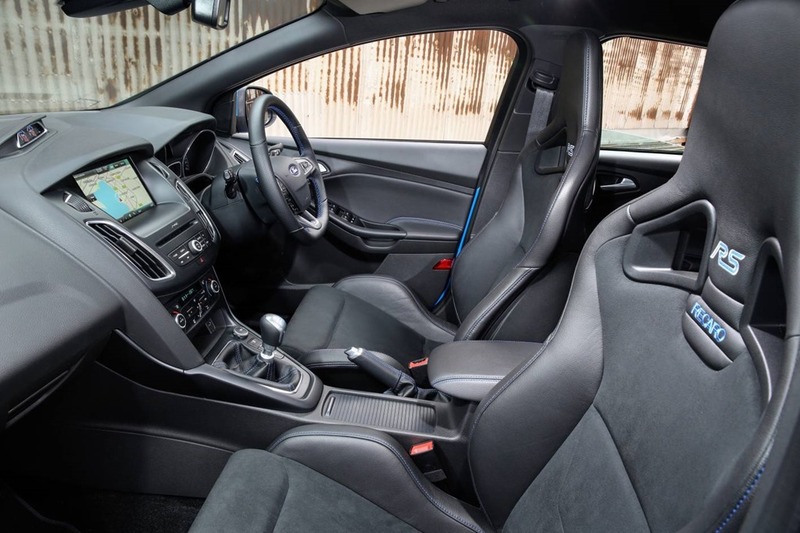 The cabin retains the decent quality this model Focus had from the outset. 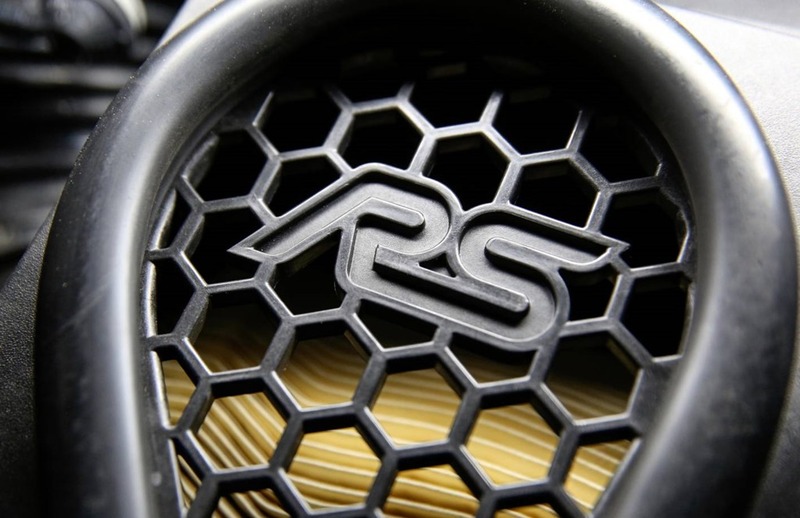 RS gains Recaro seats up front which give perfect support, and for a change, are not as hard as rocks. You’ll be cornering like a cat on carpet so you’ll appreciate the side bolsters being so high and firm. They stop you from rolling about the cabin like billiard balls but can be a challenge when trying to get in or out of the car. I can see this will be a point of major wear. The “lairy” looks are matched by a throaty note from its inner core once the starter button is pushed. There is launch control which we did not test for the lack of points, and the fear of tossing them away. 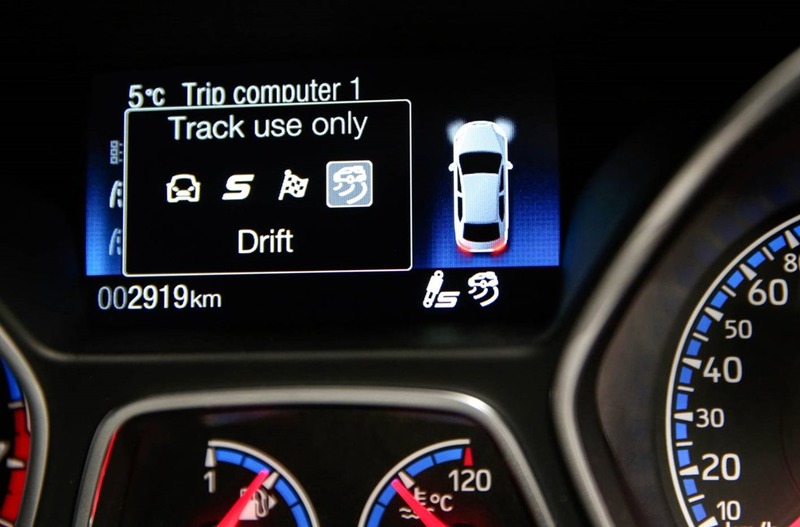 The driver selectable suspension and drive-modes allow a soft and comfy round-town drive which can change to a slightly frantic experience through those tight bends. The electric steering feels direct, and the punchy engine and brakes make Focus feel like a snug-fitting sports shoe. I love the ST, but the RS is significantly better and justifies the price. The AWD system completely removes the horrible torque steer we experienced in the ST under hard acceleration. 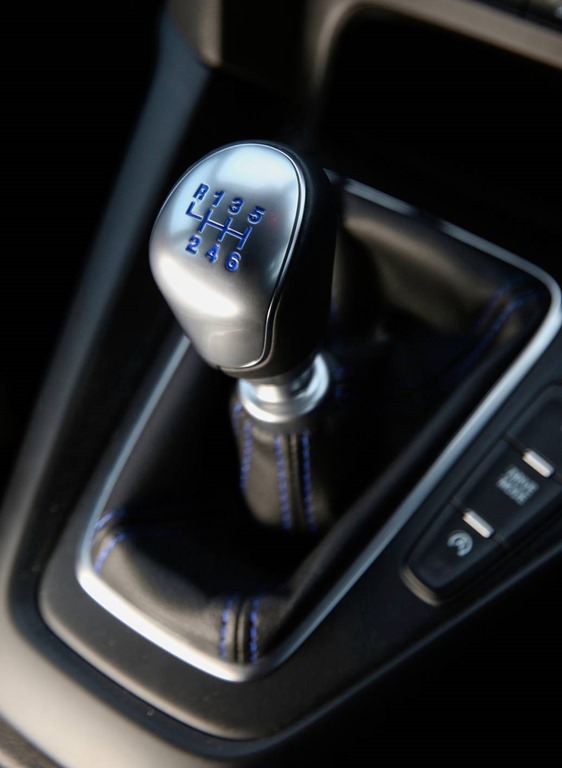 The problem with all Front Wheel Drive cars is that the second you push power through the driving wheels, they make the steering wheel jerk in one direction. It’s dangerous if you’re not ready for it. Ford fiddled with the electric steering on the ST, but it is still horrible with your hoof on the carpet. 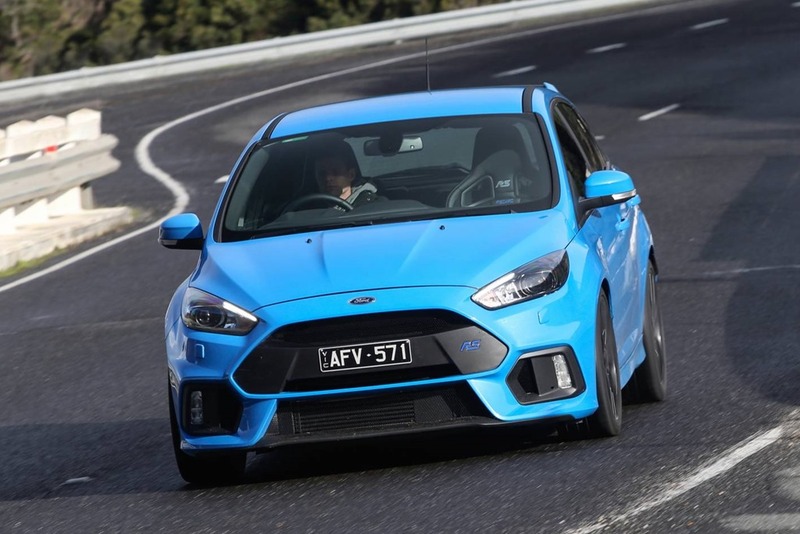 The RS’s All Wheel Drive system switches power as needed between front and back wheels in various ratios which helps keep a ferocious grip on the tarmac, and just as well too. We took some corners at a pace which was almost enough to rip faces off. The short wheelbase and short overhangs make RS feel like a classic mini when cornering briskly. It loves being taken by the scruff of the neck adding a bit of thrill to an otherwise dull commute. The temptation is to flatten the foot at every traffic light but this soon becomes tedious. 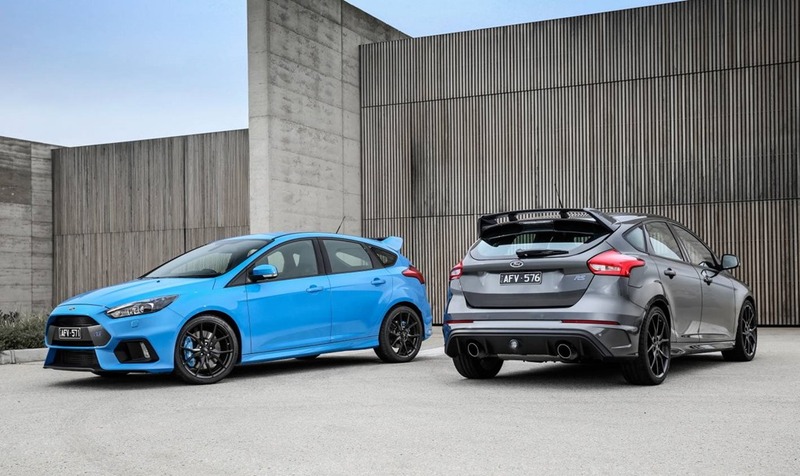 The easiest way to describe the RS is it is like all other Focus hatches, but better, faster, stronger, and much more fun. Of course, we took the usual route through the Royal National Park. Would you believe it? 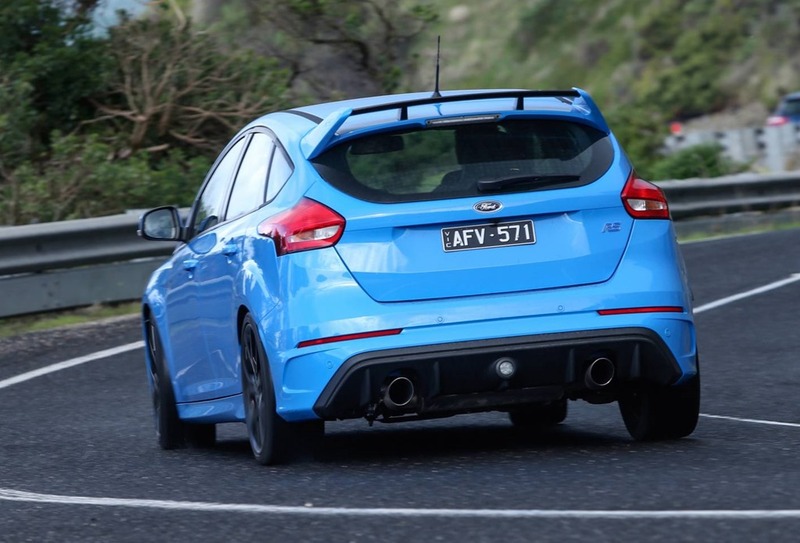 We came across another Focus RS in blue. We stopped at the lookout to compare notes. He had upgraded from a Focus ST that was several years old. I showed him my notes and he nodded knowingly. It’s always nice to know the observations are accurate. The proud owner had gone about 5,000 km in the few short months of ownership. He did a long road trip within days of collecting the car from the dealer. He’d encountered icy conditions on a trip to the snow and praised the AWD. He said the conditions reminded him of Europe, and although he hailed from South Africa, had spent several years in France. Of particular note was the adjustable drive modes which he said made a thrilling drive even better. 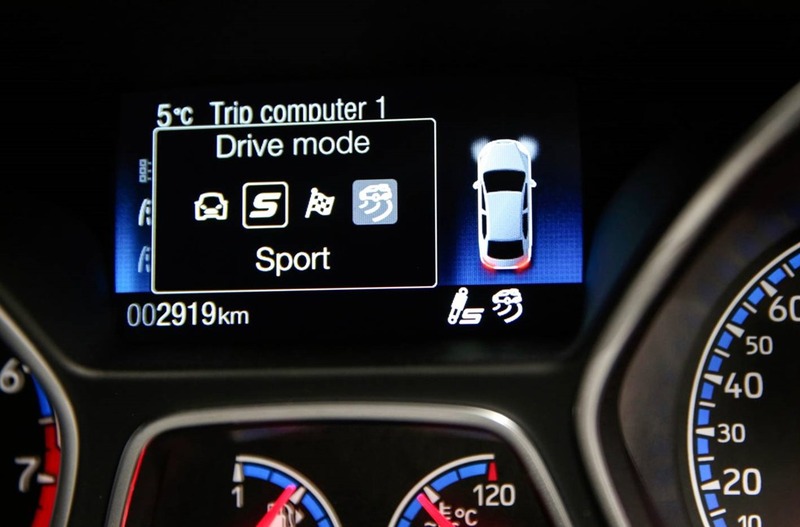 I suggested driving in the sports mode made daily driving fun but would get a bit wearing on the. Normal mode was best for daily use. He uses his RS as a daily commuter and says it performs flawlessly. Interestingly he said the manual was no trouble even in the heaviest Sydney peak hour traffic jam. i left feeling vindicated. The handling is sharper, and the ride better. There is more power, and owners are happy and satisfied. My week confirmed what I’d been told: the track focused Focus was as happy in town as it was on the open road, or a closed track. Would I buy one? Yes. I’d also checkout Golf R and Subaru WRX STi. All of which have AWD.